Liverpool made a come back against Burnley as the Reds win 3-1 in midweek Premier League game. 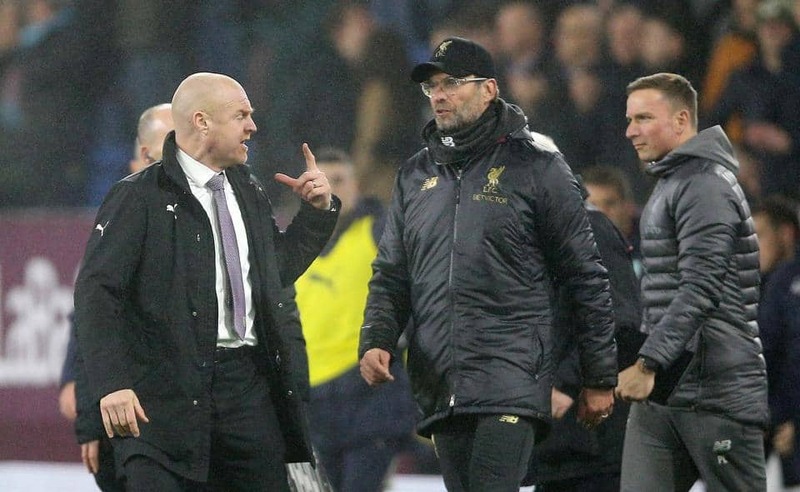 Burnley coach Dyche was involved in a touchline spat with Jurgen Klopp during the game. Klopp claimed that Burnley’s players needed to take more care with their challenges, despite admitting that they were not fouls and Dyche defended his players by claiming that Sturridge dived to win a free-kick in the first 15 minutes of Wednesday’s game, writes Mirror. “He [Klopp] didn’t reference Daniel Sturridge’s cheating when he went down, nothing near him, and he got a free-kick for it,” said Sean Dyche. “I watched Liverpool as a kid, I was a Liverpool fan growing up in the 70s, and when I grew up watching them, they had a fantastic side, of skill, will demand and a physical edge. “Now if that’s gone and been replaced by cheating, I’m absolutely happy to be old fashioned.